Got a rodent problem? We can help! Just One Bite rodent control products kill house House Mice, Norway Rats and Roof Rats. To successfully control your rodent problem it’s important to know exactly what type of rodent you’re dealing with. Whether you have just one mouse or an infestation of rats, knowing your enemy is the first step to taking back your home or barn. 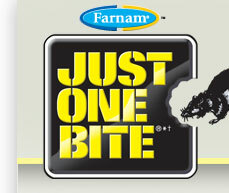 At J&N Feed and Seed, we recommend Just One Bite for rodent control. With products designed for inside and outside your home or barn, we’re sure you’ll find the right product to fit your needs. Pick up Just One Bite mouse and rat poison at J&N Feed and Seed. This entry was posted on Friday, July 29th, 2016 at 3:37 pm	and is filed under News & Updates. You can follow any responses to this entry through the RSS 2.0 feed. Both comments and pings are currently closed.